On Monday, the Floridian Pro Maurice Hawkins made big headlines for winning his 12th WSOPC ring. He outlasted 391 entries in the 2019 World Series of Poker Circuit (WSOPC) Harrah’s Cherokee $600 NLH event, earning his 12th WSOPC ring and the top prize of $44,297. With this win, Hawkins moved into a tie with Valentin Vornicu, who held the record of winning the most WSOPC gold rings. “It’s not really about the top spot. I still got the most money earned, most everything on the WSOP Circuit, so it’s pretty much the standard, but that makes me feel like my game has evolved to where it should be. I look forward to bigger and better things. It’s all about positivity and good flow of things going the right way,” Hawkins told WSOP reporters after earning his latest WSOPC ring. 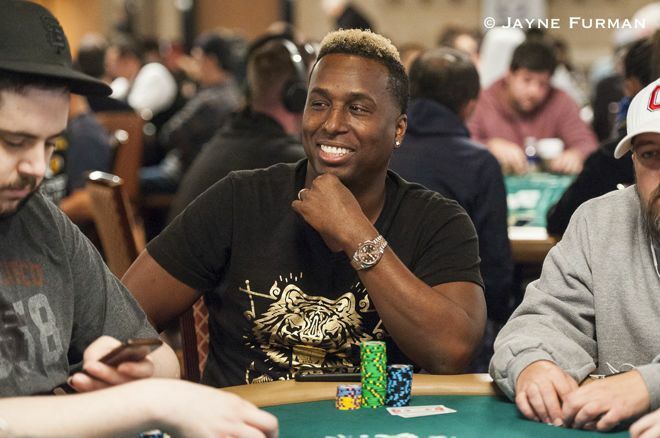 With 87 career WSOPC cashes for a total of $1,668,698, Hawkins is the all-time WSOPC earnings leader. He won his first ring in December 2008 in a $560 buy-in NLH event at Harrah’s Atlantic City. In 2016 alone, he won four rings. Of late also, he has been in tremendous form. He has made it to the final table in seven out of 11 WSOPC tournaments he has played over the last couple months. One of his FT finishes is a 3rd-place finish in the Tulsa Hard Rock Circuit Main Event just a few weeks ago. 888poker WPTDeepStacks Malta took place at Casino Malta from April 9-14, with the WPTDeepStacks Main Event going from April 11-14. The Main Event had a €1,000 buy-in and a guarantee of €200,000. It was Dutchman Sandro Pitzanti who won 888poker WPTDeepStacks Malta Main Event to earn his first WPT title. He outlasted a 275 player-field and Stefano Schiano heads-up to win the €52,000 first-place prize + €2,000 WPTDeepStacks European Championship Deauville Main Event package. This win was the second live title for the Dutchman and it came 18 months after he finished 2nd in the WPTDeepStacks Deauville Main Event. With this win, he crossed $442,596, his total earnings. Day 3 of the event began with just13 survivors. Within less than one hour, the nine-handed final table was reached. Dutch pro Bas de Laat (13th for €3,405) was the first to exit on the day and he was followed by Fabio Assennato (12th for €4,180). 888poker ambassador Sofia Lovgren finished 11th for €4,180 after losing a crucial flip with ace-queen against pocket nines. The player who bubbled the FT was John Scanlon (10th for €5,205). His queen-jack ran into Daragh Davey’s pocket aces. Pitzanti entered heads-up with a strong lead against Stefano Schiano. While the latter gave a tough fight but he could not go all the way, finishing runner-up for € 34,700. On last hand of the dual, Schiano moved all in on the flop 9s Kc 6d holding Kh Jc and Pitzanti called with his 8c 7c. The turn and river brought 10h and 7h, giving Pitzanti a straight to win the pot as well as the coveted title.